Marguerite offers the Kadam family a selection of French foods after their car breaks down. This is their first encounter with French cuisine. Intelligence is a powerful characteristic with which humans have been both blessed and burdened. It is linked to each of our senses to process uniquely the experiences in our lives. For example, culture molds our unique sets of taste buds and in turn, we create and experience our environment around these preferences. Consider the thoughts that we incur when deciding what to cook for dinner. The majority of meals we create are dictated by a craving—a craving for something sweet, for a certain dish, for a specific ingredient—or by an aversion to certain flavors. Many of our preferences are culturally influenced, but does this mean that we are incapable of altering our taste buds? In his film The Hundred Foot Journey, Lass Hallstrom outwardly portrays the contrast between French and Indian tastes. This division dictates how the characters feast and begs the question: Do one’s culturally molded taste buds restrict one’s ability to feast? 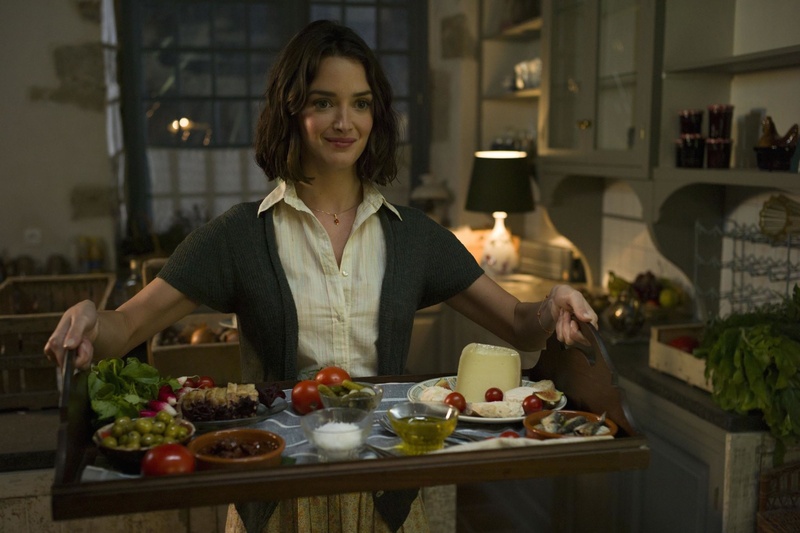 The film illustrates that while our tongues may be partial to certain dishes, we are able to accommodate new flavors when presented with different cultural creations. The plastic nature of our taste buds proves that it is not our culturally formed palates that dictate our ability to feast. Rather, it is our restricted minds that push us away from the diverse table of food. From the beginning scene of the film, we, the viewers, are provided with insight into how Indian cuisine is prepared—a mixture of strong spices that have been passed down within the Kadam family. Hassan Kadam, the protagonist, emphasizes the effect that his culture has on his taste buds, stating that he was “taught how to taste” by his mother’s culinary expertise. Although he carries his spices with him when his family uproots to France, he is not afraid to experience the traditional French cuisine. This is perhaps due to the fact that the family had no other option but to try traditional French foods after their car breaks down and they are left stranded. Marguerite is the catalyst in changing the family’s taste palates when she provides a miniature feast to the stranded Indian family. Because Hassan and the rest of the Kadams did not have the luxury of declining Marguerite’s offer, their minds and taste palates become more accepting of French culture and cuisine. Consequently, the family is capable of truly feasting because they have no inhibitions regarding incorporating another culture’s taste preferences. This adaptability greatly contrasts with the restricted mindset of Madame Mallory, the prestigious owner of the French restaurant across the street. Her palate is greatly influenced by the culture in which she lives, a feature that the viewer can deduce from her ingredients of choice and the creation of her menu. She refuses to accept traditional Indian spices and dishes, emphasizing the distinct division between the two cultures when she states that “Indian cannot become French, and French cannot become Indian.” In rejecting to try another culture’s cuisine, she is restricting her ability to feast by limiting a variety of foods from the feasting table. However, in the end of the movie, Madame Mallory finally integrates Indian spices into her taste preferences, proving that it was not her cultural influence that restricted her from feasting. Her mind was the clashing force. She mentally fought the integration of Indian cuisine into her palate, not daring to touch Hassan’s dishes, due to her beliefs that French cuisine was the one and only cuisine she would enjoy. When she finally tastes one of Hassan’s creations, she is enamored and finds that her taste buds accommodate themselves quite well to Indian flavors. Only after she tries the food of another culture does her mind finally open. In doing so, she allows herself the ability to feast—making room on her plate for a new range of foods. As a society, we are raised to crave certain foods, ones that we experience within our own culture. For instance, many who are raised in Asia have an aversion to cheese, a clear distinction from the cheese-centered European palate. However, this is not to say that an individual raised in Asia cannot reshape their taste buds to enjoy the dairy delicacy. Most of our reluctance to incorporate new foods into our diet stems from our beliefs that we will not enjoy them. When we are finally driven to sample new cuisine, our ability to feast becomes elevated. When we open our minds, only then do our plates make room for a variety of new foods and allow for a new level of feasting.